Vincent Astor, principal heir to the Astor real estate fortune, publisher of Newsweek, owner of the Hotel St. Regis, was by all accounts an irascible, difficult, yet generous, man. He was married three times, each wife famous for her style. 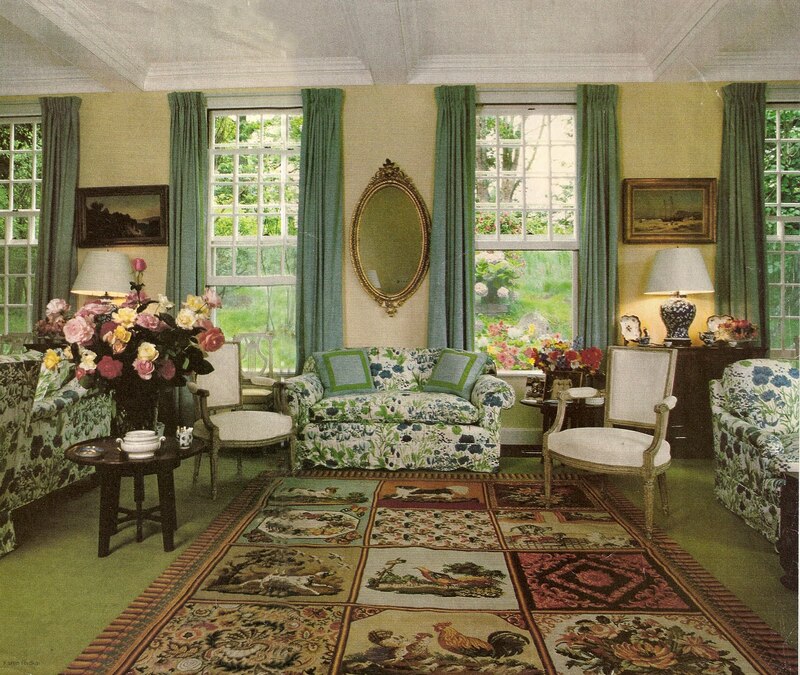 I posted about his first wife, Helen Hull’s, marvelous house on the Hudson last year, and An Aesthete’s lament posted this picture of his second wife Minnie Cushing’s drawing room. 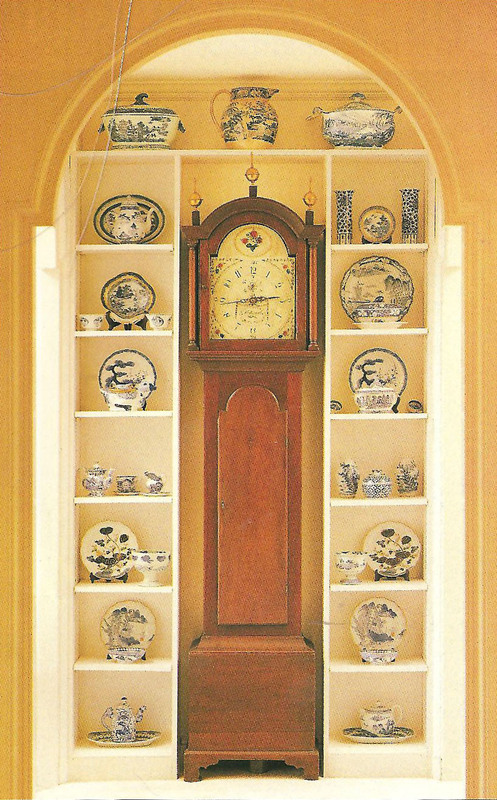 His third wife Brooke Marshall’s red library, by Albert Hadley, is one of the most famous rooms of the late 20th century. Up here in Maine, the last Astor summer home, chintz-cozy ‘Cove End’ at Northeast Harbor, sits in sharp contrast to the chic of those others. When widowed Brooke Marshall became the bride of Vincent Astor in 1953, the wedding took place in Bar Harbor, at Beach Croft, the new summer home of his friend Joseph Pulitzer II, who had demolished the family home, Chatwold, a few years earlier. 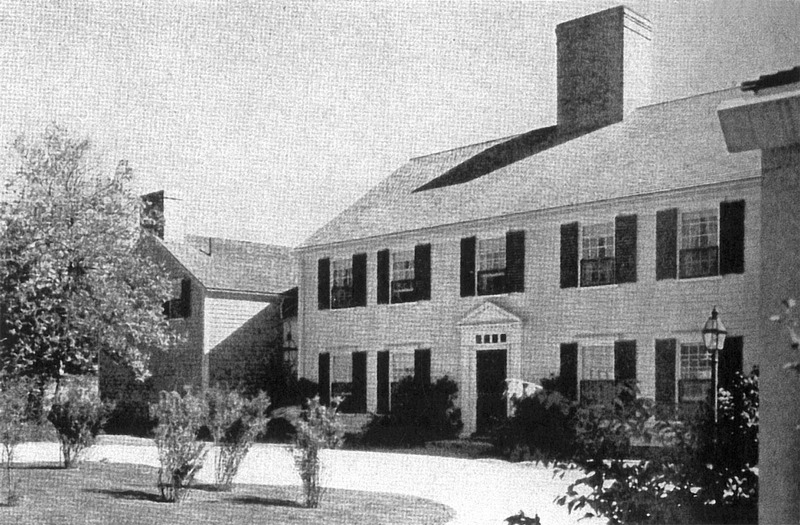 Vincent Astor had many ties to Bar Harbor–several of his cousins had summered there, his parents were regular visitors on their yacht Nourmahal in the 1890’s, and after his father died in the Titanic disaster, his stepmother Madeline Force (whom he despised) first rented La Selva, a chateauesque cottage on the Eden Street shore, and then Islecote Cottage on the George Vanderbilt estate, Pointe d’Acadie. After their marriage, Brooke and Vincent Astor divided their time between his New York apartment, and the former indoor Tennis Pavilion, which Brooke Astor hated, on Ferncliffe, his family estate at Rhinebeck. Vincent Astor had sold the Astor house, Beechwood, at Newport, and they were temporarily without a summer home. In 1953, while cruising off Mt. Desert Island they both agreed that they loved Maine, and decided to look at local real estate. They were shown Cove End, a roomy and understated New England colonial design built in 1931 by Barton Eddison, a millionaire inventor. 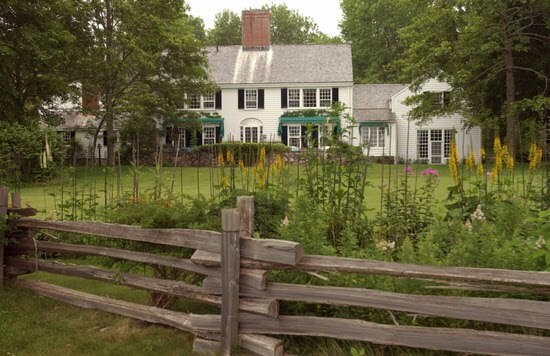 Mr. Eddison’s architects were Roger Griswold and and Millard Gulick of Little & Russell, and his landscape designer was Beatrix Farrand, who summered in nearby Bar Harbor. The house, not large by Mt. 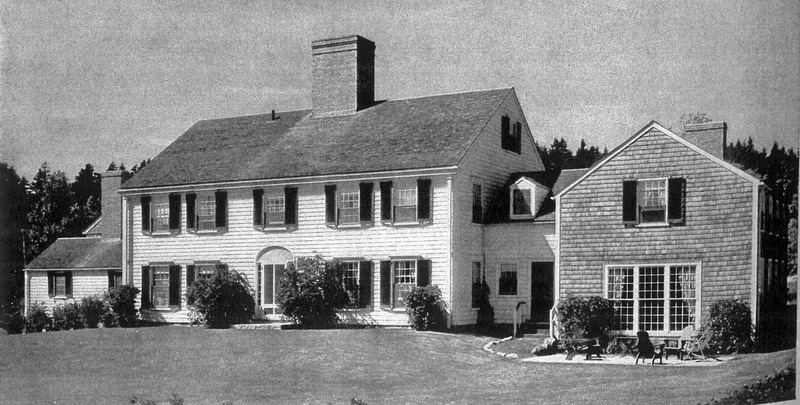 Desert Island standards, was a carefully studied adaptation of a classic Maine farmhouse. A huge center chimney dominated the scheme, and a dormitory for the Eddison sons occupied the space over the large living room. 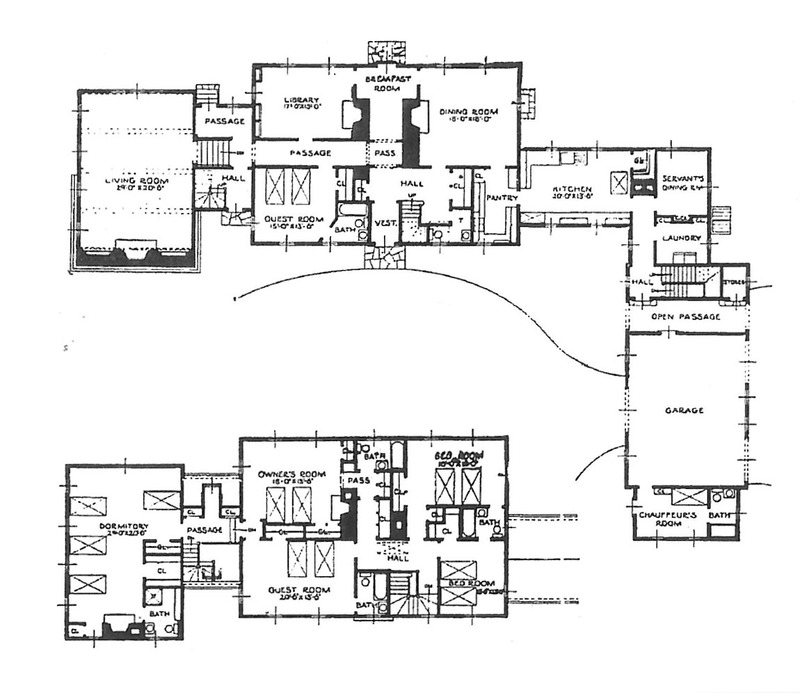 Not shown on the plan is a large suite of servant’s rooms over the garage. Included on the property were two guest cottages and a greenhouse and service garage. The landscape was similarly understated—Beatrix Farrand was a master at the game of contextual design—grand and exotic when grand and exotic were what were needed, and understated and old fashioned, when that was what was appropriate, as here at Cove End. 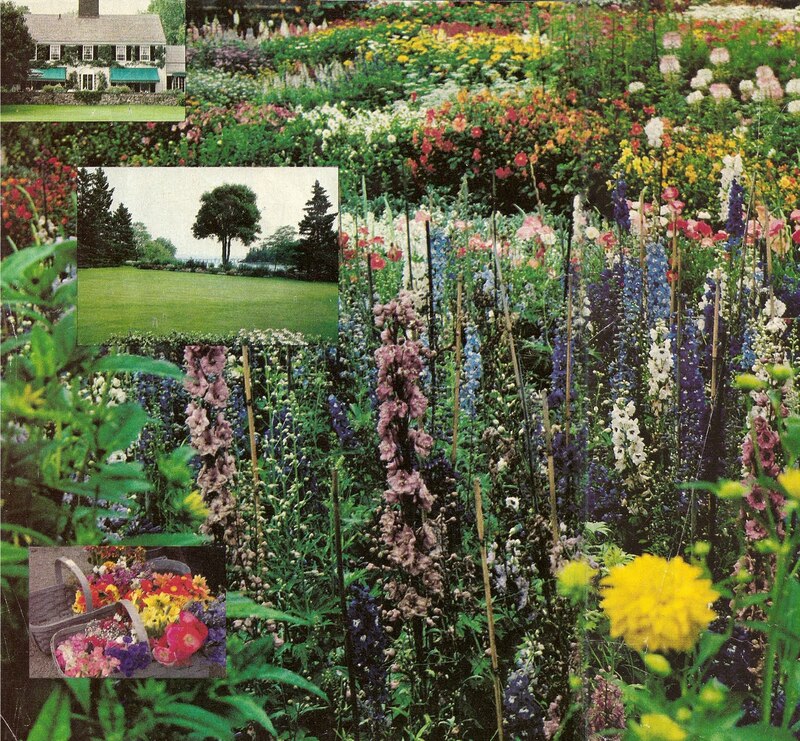 The plantings were of old fashioned plants, lilacs, viburnum, and ferns, with a large cutting garden of irregular geometric beds near the greenhouses. Sometime after the original design, a stone terrace was added to the water side of the house. 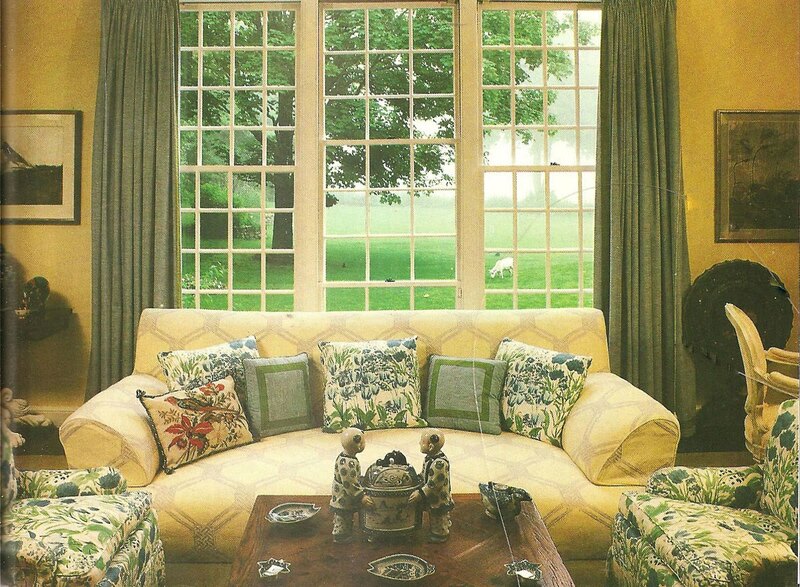 The Astors purchased the house completely furnished with the Eddison’s collection of New England country antiques, and added possessions of their own, including huge sofas that had been cut down from those that were originally used in the indoor pool at Ferncliffe. 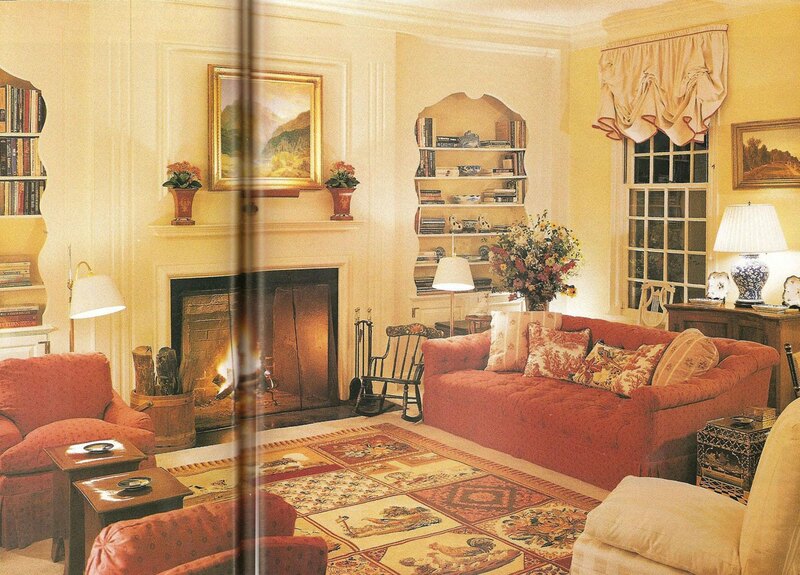 After Vincent Astor’s death, Mrs. Astor had the house freshened up by the ubiquitous Sister Parish. 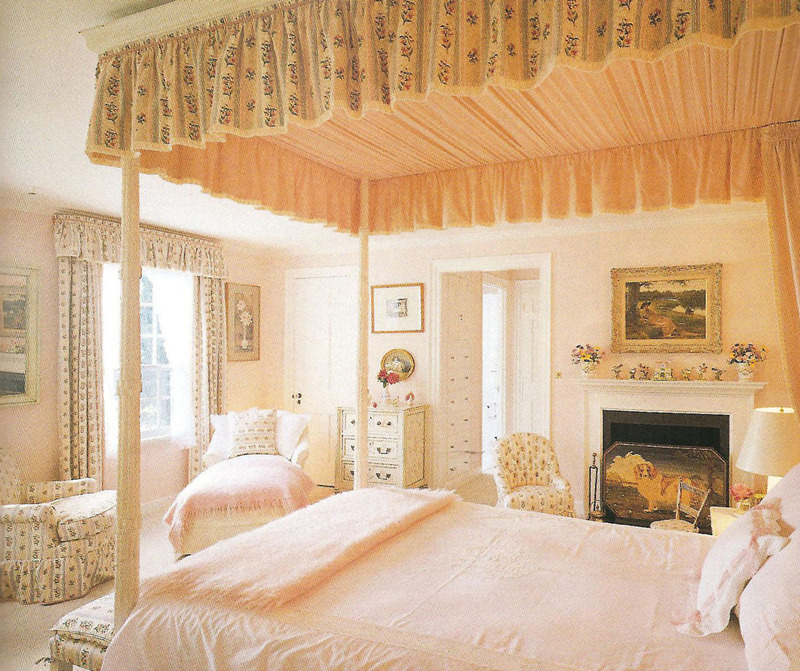 Further freshening was performed over the years by Mrs. Astor’s Northeast Harbor neighbor, Nancy Pierrepont, all in a comfortable chintz-and-hooked rug summer house idiom. 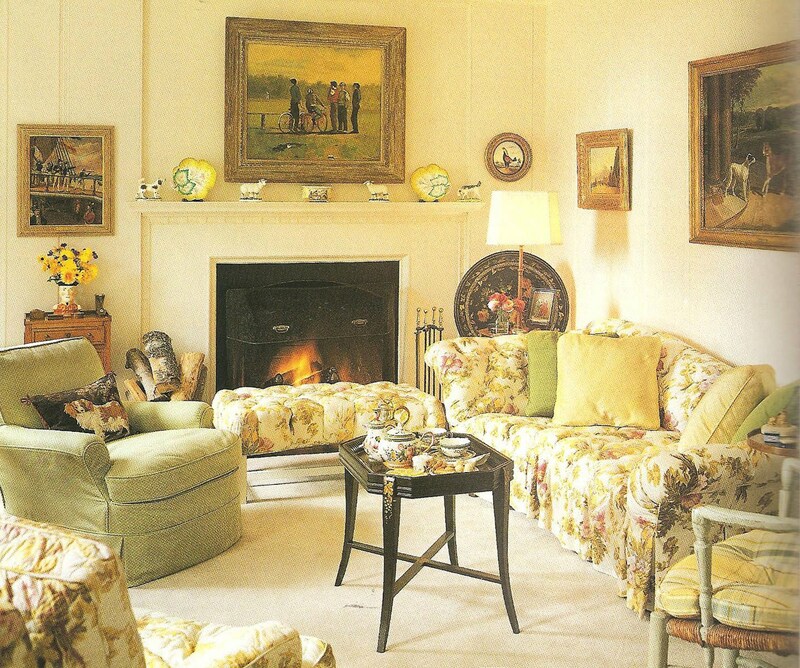 After Sister Parish’s death, the living room was re-done by Mark Hampton. Personally, I prefer the Parish version, less stiff and in colors well suited to the seaside, but I include photos of both that the reader may decide for himself. After all, taste is subjective, no? 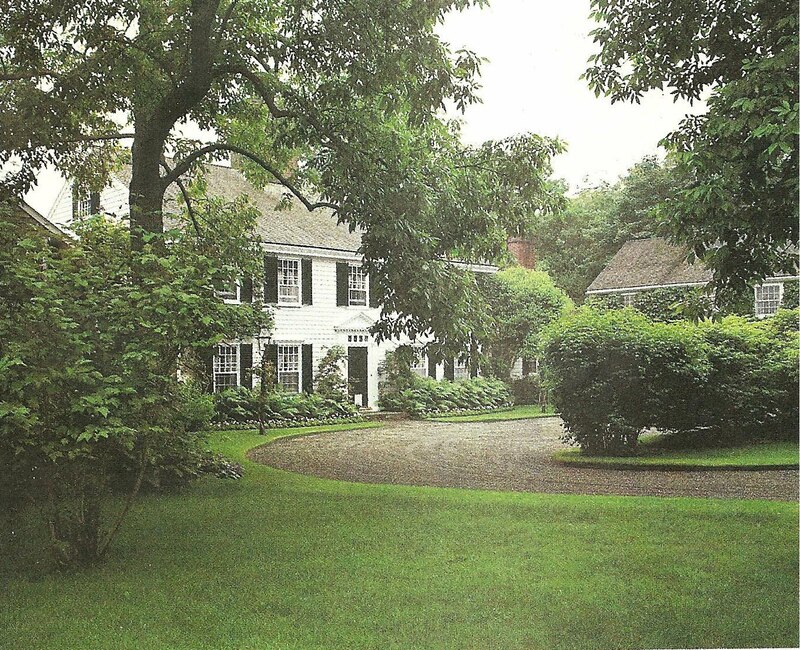 Personal Note: The unpleasant family squabbles about Mrs. Astor’s late years were sparked by the broken promise to gift this house to a grandson. Of all this I know little, other than I find the behavior of both sides faintly repellent, and shockingly contrary to the way my own family handled my grandmother’s late years, but this quick memory of a visit to Cove End when Mrs. Astor was still in residence is what I can offer to the record. 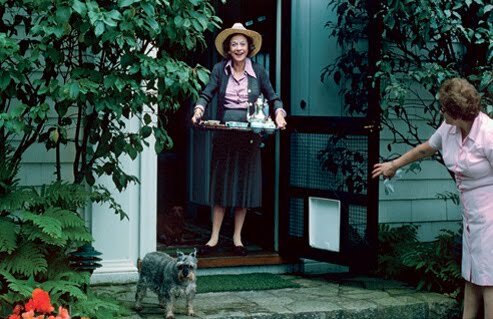 In the early 1980’s, a friend, on magazine assignment to photograph the gardens, and I had tea on the terrace with Mrs. Astor. She was, true to reputation, stunningly charming, kindly of manner, and a real pro, skillfully and quickly processing us before handing us over to the gardener for the garden shoot The gardener was a terribly nice guy, obviously devoted to Mrs. Astor, and when one of our party gently (read inappropriately) inquired, as Mrs. Astor was then in her 80’s, what would happen to the place after she died, the gardener replied that Astor’s son, Mr. Marshall, had assured him that everything would go on exactly as before, and not to worry. That memory immediately resonated when I read that some 20 years later, after assuming ownership of the property, Mr. Marshall fired that same gardener by telephone. Cove End today, while hardly shabby, no longer has the stunning level of maintenance and grooming that it had during Mrs. Astor’s day, and the hundred foot long flower border along the fence between the shore road and the estate no longer groans with summer bounty of seven foot delphinium and bright annuals. I learn so much reading this blog. Thanks for another great story, DED! What a great post! Cove End has long been one of my favorites in Northeast Harbor. I didn't realize it was Mrs. Astor's place until it was opened for a garden tour a few years back. What I love about the house is that it's so classic with simple lines. A true beauty. I knew she summered here, but assumed she had one of the mammoth places further up along the Sound. Thank you for posting the pictures of the interior. I always wondered what it looked like inside.I do remember slowing in front of the house to admire the front garden so many times over the years. So full of color and texture. When I finally visited in the early 2000s, I was finally able to see the back garden, which was also lovely. 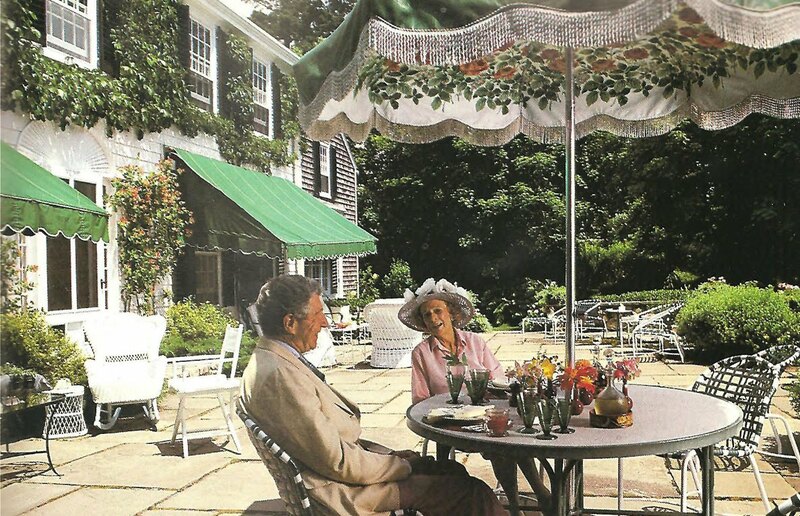 I particularly remember the immense pink hollyhocks and a life-size chess set.And of course, you'll know that the mention of Beachcroft and Chatwold caught my eye immediately… I didn't know about this particular connection. Thank you for that. Have you heard the story of the "Alabaster Astor? "Wonderful post!And an award from you, to my fellow New Englendah! i vote for the parish as hampton seems too bright. altho these old places can be dark sometimes, the parish seems to balance that with good taste and good colors. i esp. like the window with all the little panes and what i like most about it is that the middle window doesn't match the other two.this was a very well done recreation of an earl new england house. nice proportions and arrangement.security word def – "unalysa" – time to practice your Italian – how many Doolittles? Anonymous, I wish I could give a reference, but the clipping I have has no date. I would guess however, around the early to mid-eighties.Reader's Guide to periodicals at your library's reference desk should have the listing.